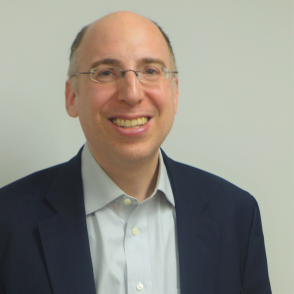 Joshua M. Karlip is Associate Professor of Jewish History at Yeshiva University, where he has taught both undergraduate and graduate courses since 2007. His scholarship has focused on the relationship between traditional Judaism and modern secular Jewish movements such as Yiddishism. He addressed this theme in his critically acclaimed book, The Tragedy of a Generation: The Rise and Fall of Jewish Nationalism in Eastern Europe, published by Harvard University Press in 2013. Karlip’s forthcoming book, Oyfn Sheydveg [At the Crossroads]: Jewish Intellectuals and the Crisis of 1939 is a critical edition of a Yiddish journal that served as a forum for Jewish intellectuals to react to Nazism. In this book, Karlip will recover this moment of ideological soul searching for the English reading public. In addition to these volumes, Karlip also contributed a chapter to Jews in the East European Borderlands: Essays in Honor of John D. Klier (Academic Studies Press, 2012). He has also published articles and book reviews in Jewish Social Studies, the Simon Dubnow Institute Yearbook, East European Jewish Affairs, Jewish History, and Polin. In 2009-2010, Karlip served as a Harry Starr Fellow in Judaica at Harvard University. In 2012, he was a Visiting Scholar at the Simon Dubnow Institute for Jewish History and Culture at Leipzig University. In 2010-2011, the YIVO Institute for Jewish Research awarded Karlip the Natalie and Mendel Racolin Memorial Fellowship. Since 2011, Karlip has also served as a faculty member in the YIVO-Bard Institute’s Summer Yiddish Program. Most recently, he was asked to become a member of the Academic Advisory Council of the Center for Jewish History. Karlip has presented his research to scholars at international conferences in the United States and in Europe. At the same time, he lectures in synagogues to lay audiences about many aspects of Modern Jewish History, the East European Jewish experience, and the Holocaust. Fiddler on the Roof: Life in the Real Shtetl? The Netziv: An Early Religious Zionist? Yiddish: Jewish, Germanic, or Slavic? Tsene-Rene: Women’s Lib in the 17th Century? "The Tragedy of a Generation: The Rise and Fall of Jewish Nationalism in Eastern Europe"
"Zelig Kalmanovitch: Translating Josephus into Yiddish"